The Project (aka dcpt project) was created to bring quality personal training into an affordable group environment. “I have experience, credentials and knowledge, but that doesn’t make for a good coach or trainer. I have empathy and passion. I can motivate and empower. I can create drive and determination . I have the belief that everyone has the tools required to achieve everything they want. Dan Crisp gave birth to dcpt project in Williamstown in 2014, with a small client base of less than 20 girls, training outdoors at the beach and local footy ovals. 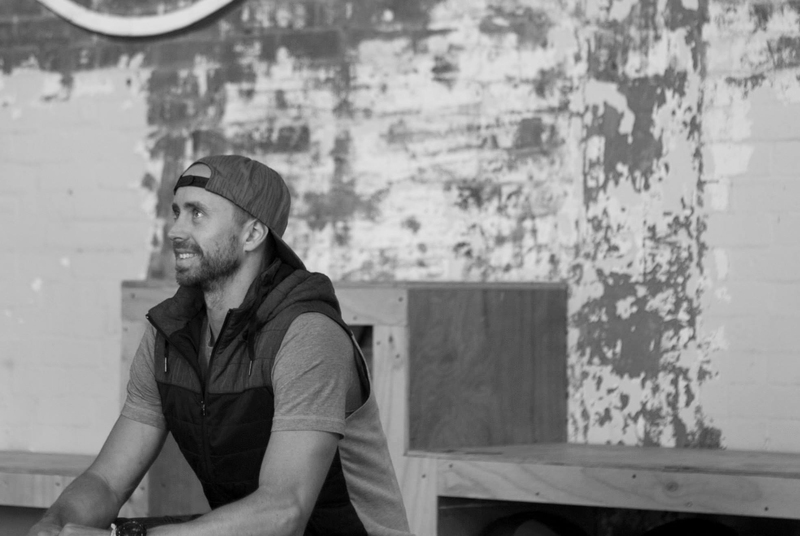 Fast forward 18 months, and dcpt projectnow boasts an amazing warehouse/industrial space in Yarraville, custom built for all things health and fitness, with a dedicated client base of over 50 members and growing. dcpt project is more than just a gym, it’s Dan’s baby. All clients are made to feel comfortable and are kept motivated as Dan quickly picks up on what gets each person going. Behind the scenes, Dan invests huge amounts of time ‘checking in’ with clients to ensure their personal journeys are progressing. Remembering the individual goals of each member, and continuously following up on them during sessions as well as outside of business hours remind clients that they are here for a reason. This persistence ensures that each client turns up to training with a sense of purpose, and gets the most out of their sessions. As well as a purpose built training environment, Dan has created an ever-changing and progressive approach to programming. Dan prides himself on creating a program that will challenge people of all levels. Dan’s passion has made him a standout in his field, so much so that he was recently approached by Lululemon to come onboard as an ambassador. Lululemon wanted to help support Dan’s vision, to help promote the importance of health and fitness as a part of a holistic life. Come meet Dan and check out dcpt project HQ, located at 177 Stephen St, Yarraville. As dcpt project evolved it became to big for its boots. To prepare for a bigger and better future The Project was created. Growth through members, locations and size will be inevitable, so why not prepare now.